One does not even have to think very hard to know that it’s better to stay healthy than wait to become ill and then try to get well again. You can work toward that goal with seasonal acupuncture treatments. As few as four seasonal acupuncture treatments can help keep a person healthy. Even if you think you feel well and have no major health complaints, consider that as few as four acupuncture appointments per year can serve to strengthen the inner organ systems and correct minor annoyances before they become serious problems. 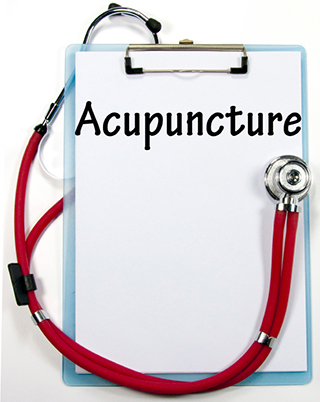 Acupuncture plays an important role in preventing diseases. Preventative medicine is defined as the part of medicine engaged with preventing disease rather than curing it. Improper nutrition hurts good health. In addition to acupuncture treatments, one of the first lines of defense in acupuncture and Oriental medicine is nutrition. Nutrition provides the energy needed for the body to function. Good nutrition not only provides energy, additionally it provides the basic building blocks, vitamins, minerals, phytonutrients and antioxidants that keep the body healthy and vibrant. Eating an unnatural and restrictive diet can lead to yo-yo dieting and drastic ups and downs in body weight. Improper diet practices can cause malnutrition, organ damage, slow metabolic rate and other imbalances within the body. Biochemical and energetic imbalances may present themselves as pain, sleep disturbances, mood changes, abnormal digestion, headaches and menstrual irregularities. Through the process of evaluating subtle physical signs, as well as the emotional condition of a person, practitioners of acupuncture and Oriental medicine can detect health problems in their earliest stages, before the illness fully develops. Once the imbalance has been determined, a customized program can be created with a variety of treatment modalities including acupuncture, Chinese herbal therapy, tui na, in addition to food, exercise and lifestyle suggestions. So if you feel you are now healthy that is a terrific and to be considered a blessing. But remember how important it is to take care of your body, keep balance, get plenty of rest and east properly. And to help you strengthen your inner organ systems and correct minor annoyances before they become serious problems consider scheduling seasonal acupuncture appointments. With the change of seasons it is important to rebalanced your body. Give us a call for an appointment – let us help you stay healthy.